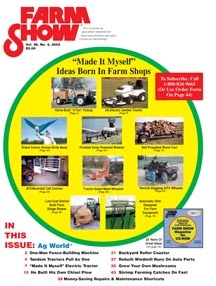 "I Made My Own 3-Ton Pickup"
"I Saved The Price Of A New Harrow"
Looking For Somewhere To Go? Road Sander Converted Into ATV-Pulled "Feed Cart"
Splat! What's That On Your Windshield?